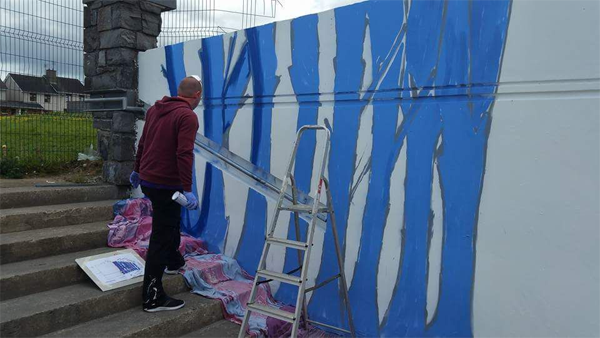 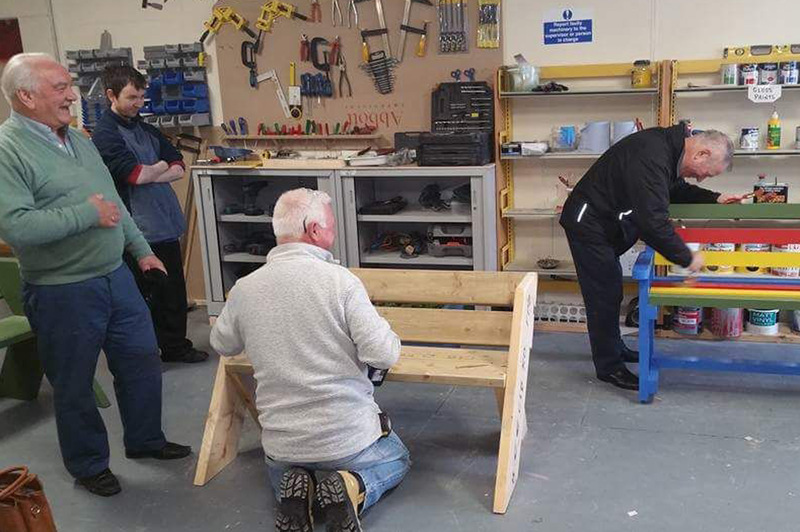 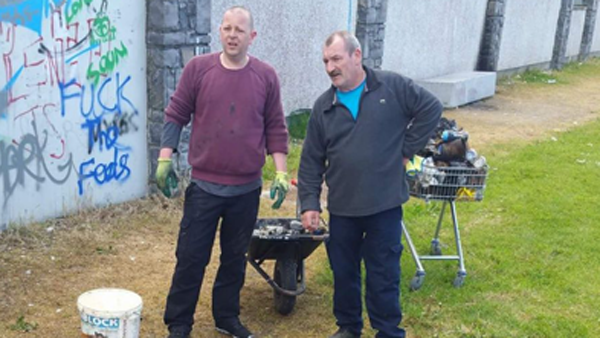 As part of National Volunteer Week in May 2017, Westmeath Volunteer Centre got a volunteer called Jason’s Turner in to lead a project with the youths in Youth Work Ireland Midlands. 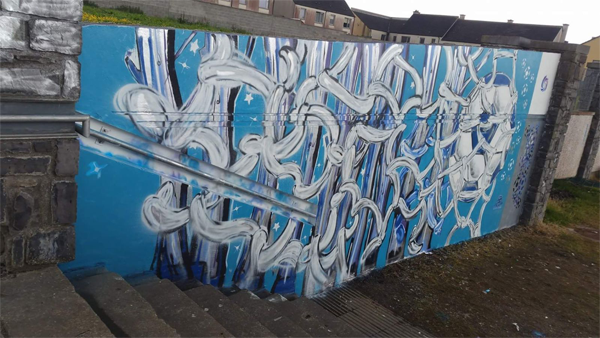 Jason gave graffiti classes to a small group of youths in Grange prior to the event. 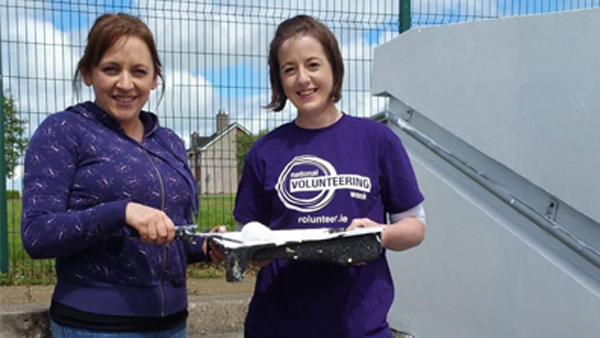 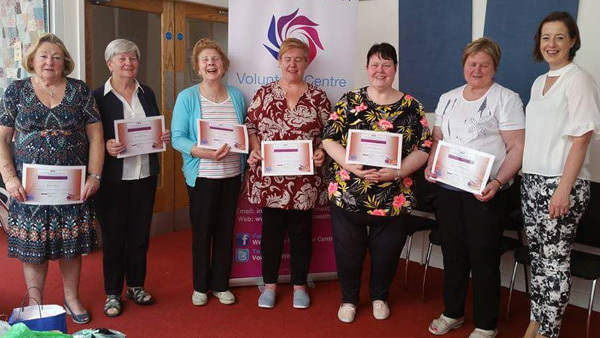 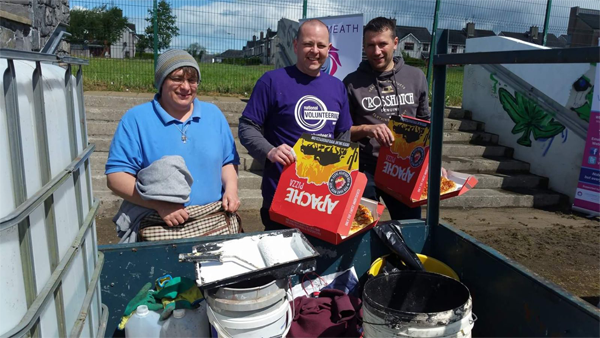 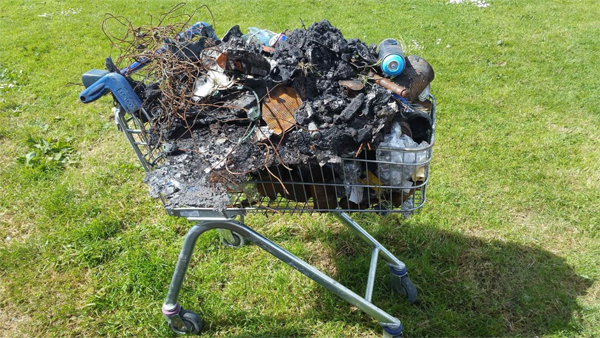 During National Volunteer Week Westmeath Volunteer Centre recruited 16 wonderful volunteers of all abilities to clean up an area in Grange soccer pitch. 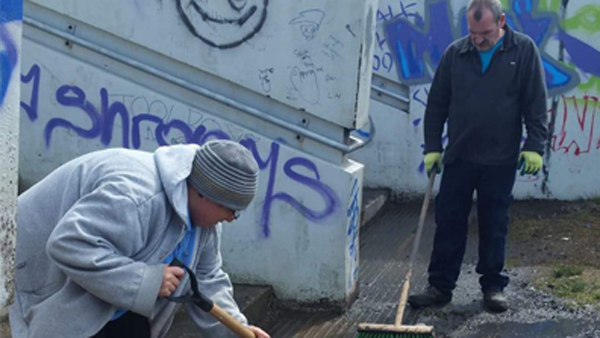 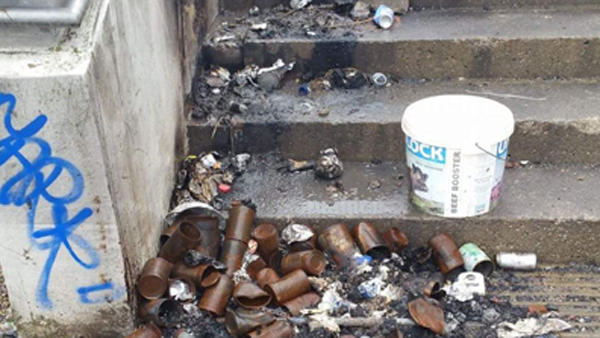 This involved removing all the rubbish, washing all the walls and finally painting the walls white. 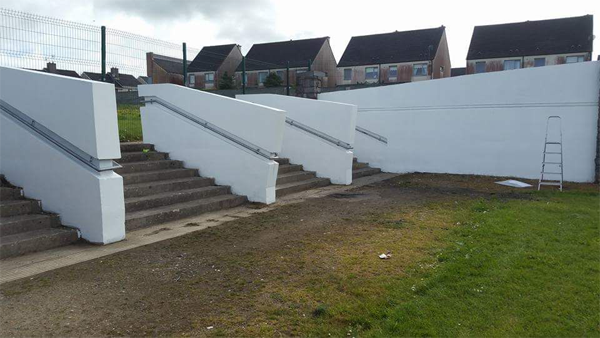 All materials to do this were supplied by Shaws Hardware Mullingar, Kilmurray Precast Mullingar and Oliver Brennan’s hardware in Mullingar. 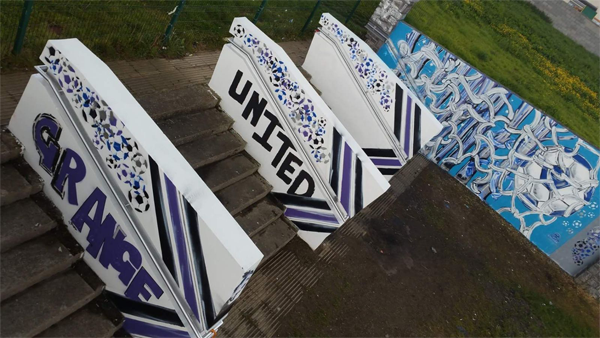 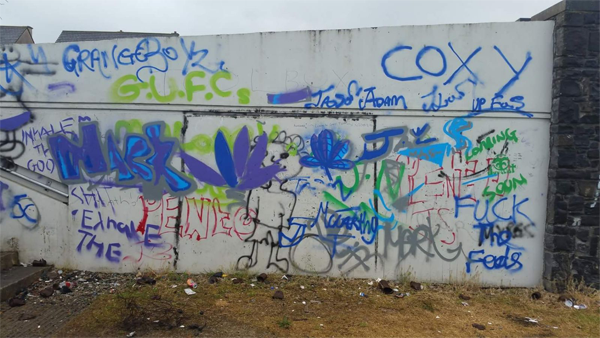 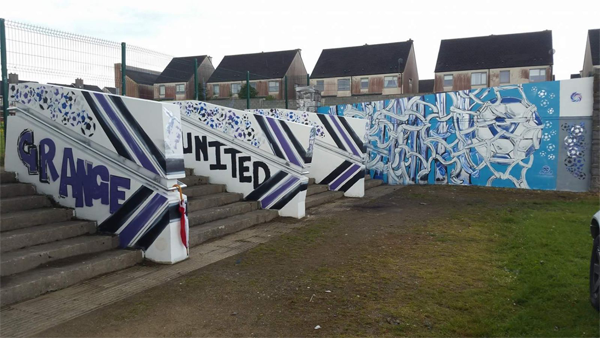 Jason and the youths then did graffiti on this walls in the colours of Grange United.